Very often when someone is looking for information about traveling the Balkans, they’re going to be backpacking the region or have at least a week to explore. However, don’t overlook how great the Balkans are for enjoying a quick city break! While I could easily spend weeks in any of these cities, each of these is a perfect place to enjoy three or four days, or even two if you’re pressed for time. So whether you’re looking to savor a long weekend or want to dig into the Balkans and string a few of these together for a delightful Balkan itinerary, here are our nominees for the best Balkan city breaks. While we love Sofia so much that we literally moved here, we know its common for visitors to want to tackle it as a city break. 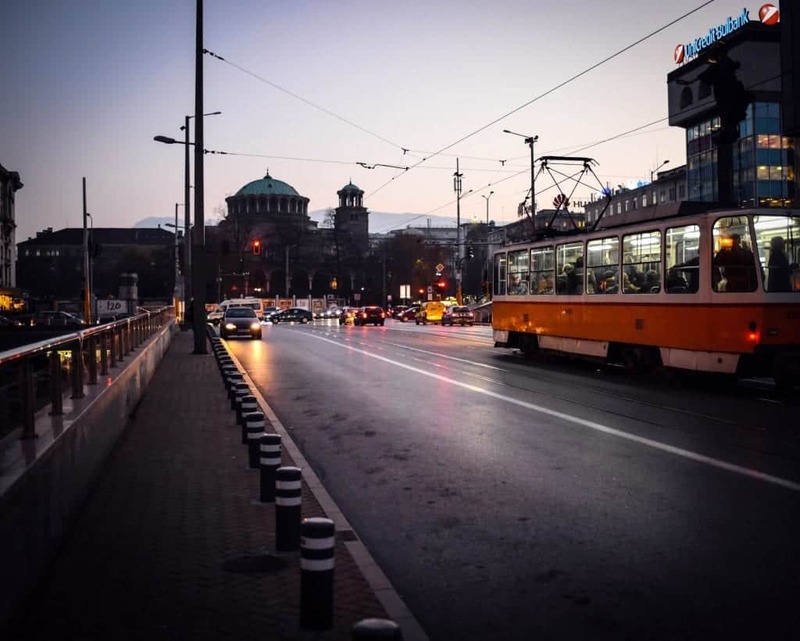 If you’re going to come here for three or four days, make sure to start with the Free Walking Tour, which will give you a great overview of the central part of the city from Vitosha Boulevard all the way to Alexander Nevsky Cathedral. During the day, you can explore the city’s museums, go on a day tour to Rila Monastery, or simply wander around the city. We created an exhaustive list of things to do here, so we know there’s way more than enough to fill a long weekend. Make sure to check out Sense Rooftop Bar, which is one of our favorite bars in Sofia and offers amazing views of Alexander Nevsky Cathedral. When planning a trip to Greece, a lot of people have a hard time deciding which Greek destination to pick. If you’re going for less than a week, then I say Athens is tops. Four days is the perfect amount of time to introduce yourself to the city. 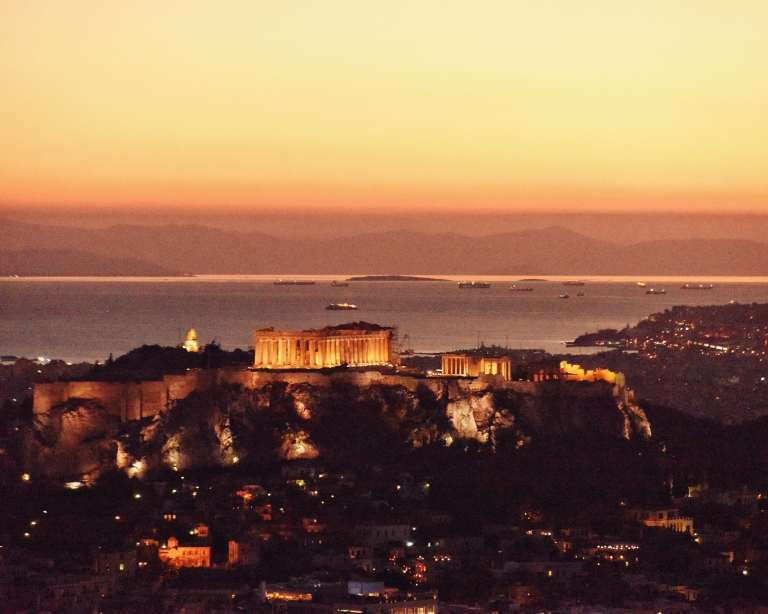 You can explore the Parthenon and historic sites by day, enjoy dinner in the Plaka in the evening, and then head to a rooftop bar to enjoy a cocktail and Acropolis views at night. While in the city, enjoy Athen’s great street art, and make sure to check out Exarchia, the anarchist neighborhood full of hip cafes. If you have four days, I suggest taking a day trip to Delphi, Cape Sounion, or even go for a day cruise to the three islands closest to Athens. It’s no secret that we are obsessed with Belgrade. From charming Zemun all the way to the Ada Bridge, from the Eastern City Gate to the Western City Gate, we are absolutely in love with the White City. If you have three days, we recommend spending them exploring. 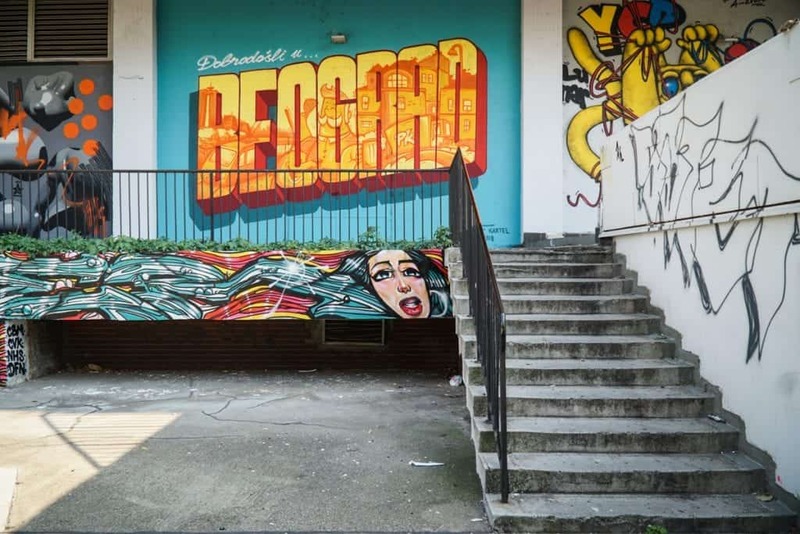 Check out the four neighborhoods of Dorcol, the Stari Grad, Novi Beograd, and Zemun, to get a feel for how diverse and eclectic Belgrade is. We never run out of things to do here during the day, and after dark, the city has some of the best nightlife in Europe. If you have four days, spend one on a day trip to Vojvodina, the region to Belgrade’s north. We suggest you pick either Novi Sad or Subotica if going by public transportation. If you rent a car in Belgrade, you can visit both cities in one day. Istanbul is a world-class city with amazing cuisine, fabulous historic sites, and endless water views. 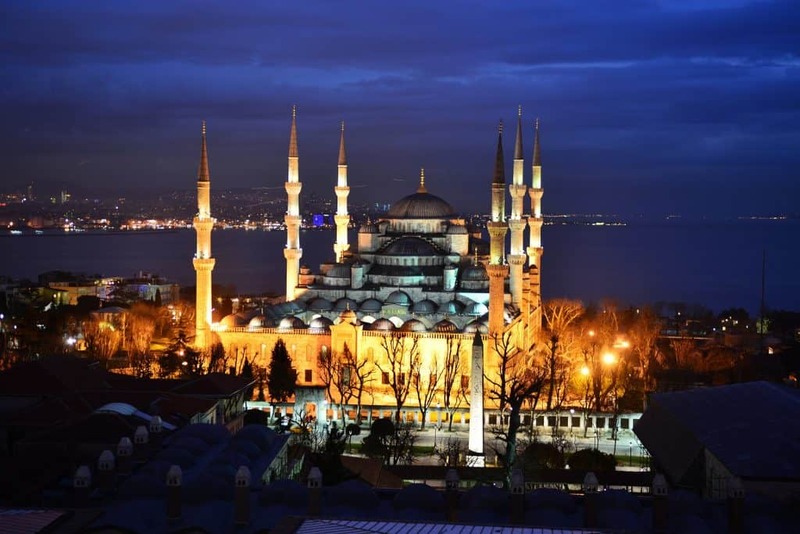 For a three or four day trip, start with the Sultanhamet to see the famous Topkapi Palace, Blue Mosque, and Hagia Sofia. Spend a day exploring some of the neighborhoods further out like the beautiful wooden houses of Arnavutkoy and the stunning Ortakoy Mosque. No trip to Istanbul is complete without Turkey’s two greatest past times: Turkish breakfast and Turkish baths! There’s so much to see here that we suggest sticking to the city. Two different day trips inside the city limits include taking a boat tour of the Bosphorus or heading out to the Princes’ Islands. 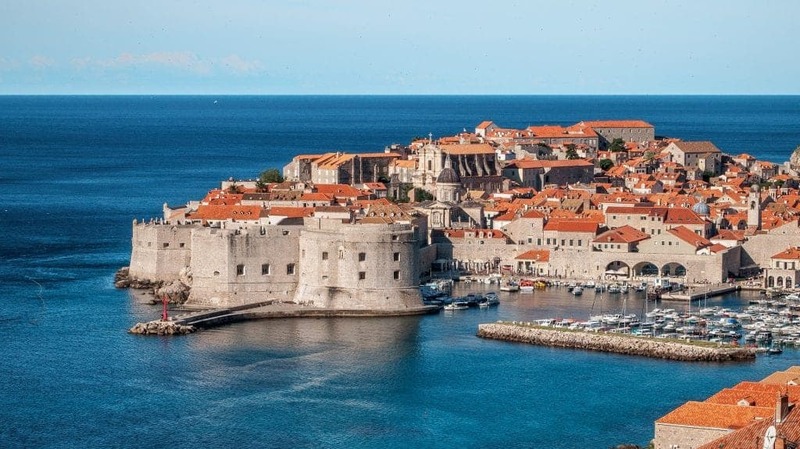 Made famous by Game of Thrones, where the filming for scenes that take place in Kings Landing is done, Dubrovnik is perhaps the best-known Balkan city on this list. While it’s often part of a longer Croatia itinerary, Dubrovnik also makes an excellent city break on its own! The most iconic thing to do in Dubrovnik is to walk the old city walls. While it’s quite a pricey activity – I paid around $15-20 USD for my entry ticket – the views of the red-tiled roofs and the endlessly blue sea are stunning, and it’s incredible to walk along such an important piece of history. A few other things you shouldn’t miss include the Jesuit Staircase, where the infamous “Shame” scene occurred in GoT. Sponza Palace and The Rector’s Palace are two other can’t-miss places within the city walls of Dubrovnik. Outside the Old Town, you should take the cable car up to the hill for epic views over Dubrovnik, best seen at sunset when the sun is going down over the city and the Adriatic Sea – simply beautiful. You can also take a dip at the city beach, one of our favorite Balkan beaches. 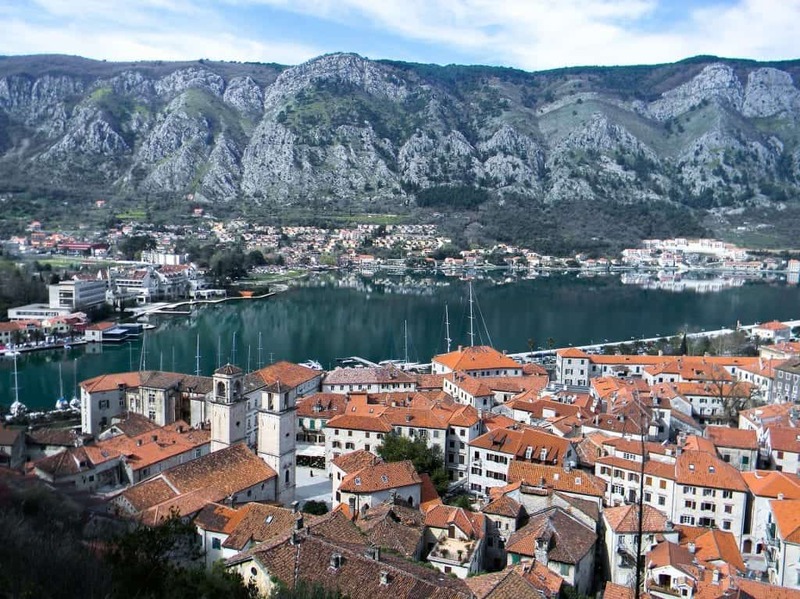 Finally, if you are aching to get out of Dubrovnik for a quick break, you could pop into Trebinje, Bosnia (1 hour by bus) or one of the many cities on the Bay of Kotor (Perast, Kotor, Herceg Novi, amongst others) which take about 45 minutes to an hour by bus. Slovenia is a romantic country. Part Italian, part Germanic, and part Slavic, there’s a blend of cultures, languages, and cuisines here that make a trip to Slovenia a unique experience. The capital Ljubljana is a fantastic place for a relaxing weekend. 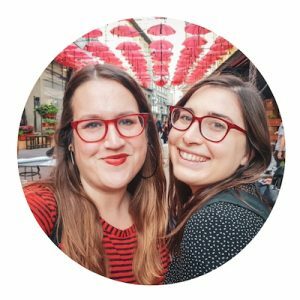 Highlights include brunch by the river, strolling through the dreamy city streets, and taking the funicular up to the top of Ljubljana Castle. The quintessential day trip from Ljubljana is Lake Bled, but make sure to go when the weather is good since this day trip is all about the gorgeous scenery. You can get there by renting a car or via public transportation. 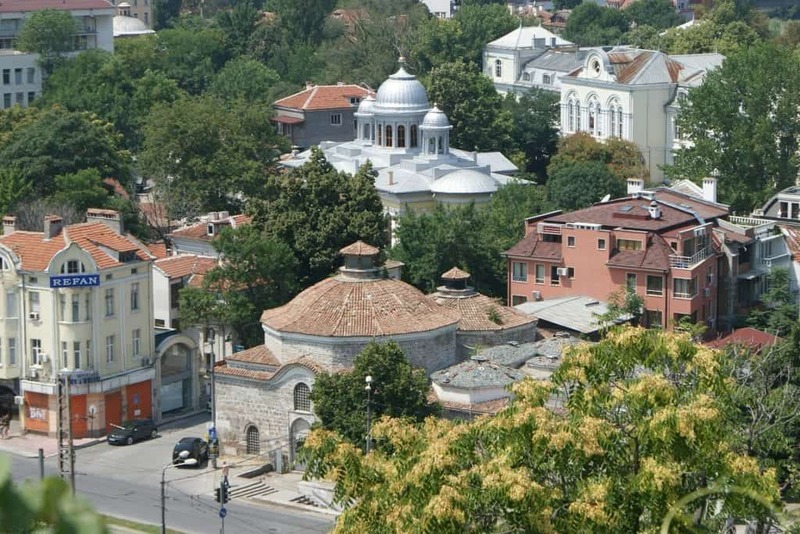 Named the European Capital of Culture for 2019, Plovdiv is a historic city of Roman ruins, Ottoman mosques, and innovative street art. It’s ideal for a city break since you can explore the entire historic center in a day or two. 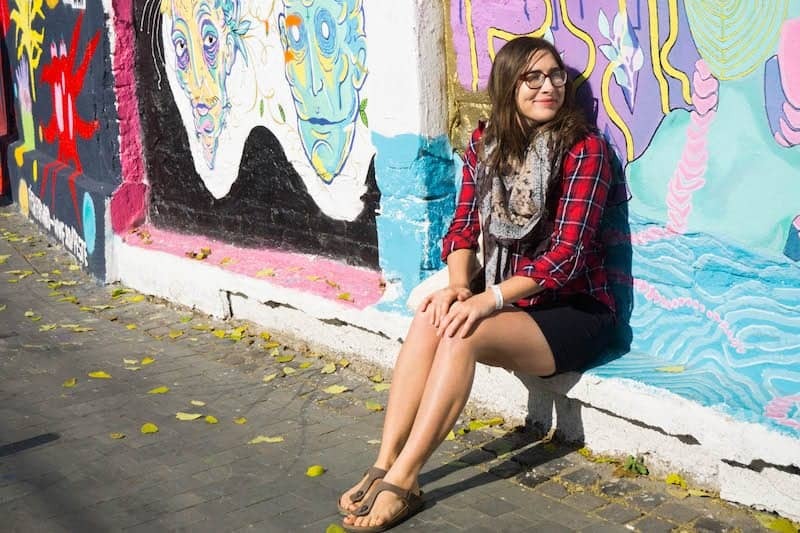 We love the Free Walking Tour, which will give you a great introduction to the city. For more itinerary ideas, here’s our list of things to do in Plovdiv including restaurant recommendations. If you have four days in the city, why not take a wine tour or visit one of the nearby monasteries. Zagreb is most known for its historic architecture, with St. Mark’s Church and Zagreb Cathedral serving as two of the city’s most visited spots. Enjoy a nice meal on Tkalciceva Street and explore some of the city’s unique museums, like the Museum of Broken Relationships and the Museum of Naive Art. Even though I think that Zagreb is a city best discovered by strolling the lanes and squares, I absolutely loved the museums here and think they’re well worth the time. For a day trip, Zagreb makes a great base to explore Croatia’s famed Plitvice Lakes, a UNESCO World Heritage Site. Bucharest is a great city to explore in three or four days since the reconstructed Old Town is compact enough to explore on foot in an afternoon. The city also has great museums, cafes, and landmarks, so you’ll find there’s a ton of things to do here. One highlight for me in Bucharest is to do some souvenir shopping, and you simply must try some of Romania’s traditional dishes while here. Bucharest offers many options for great day trips. The most popular is to do a Romanian castle tour and visit Rasnov, Bran Castle, or Peles Castle. Some tour companies even do a combo of two or three castles in a single day. 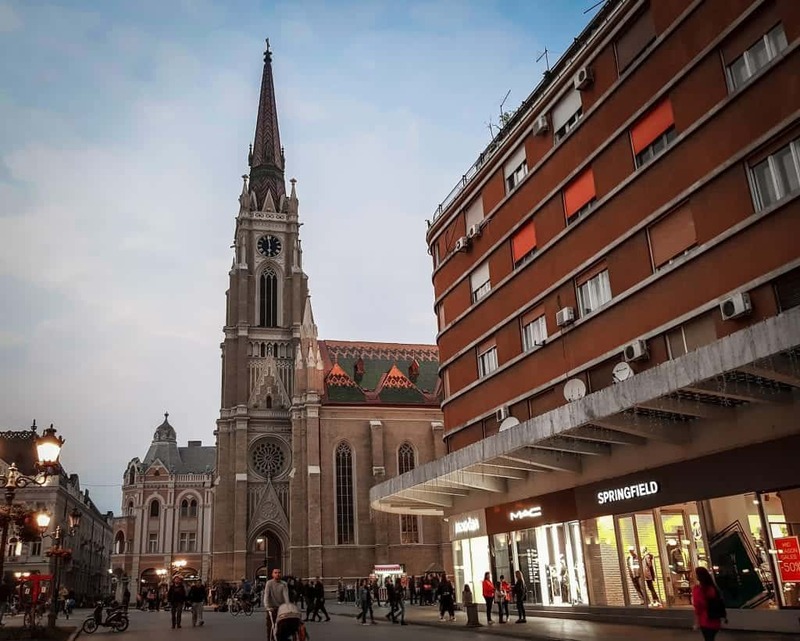 Novi Sad, the capital of Serbia’s Vojvodina region, is preparing to serve as the European Capital of Culture in 2021. Full of colorful buildings and Austro-Hungarian architecture, Novi Sad is a lovely base to explore this charming region. 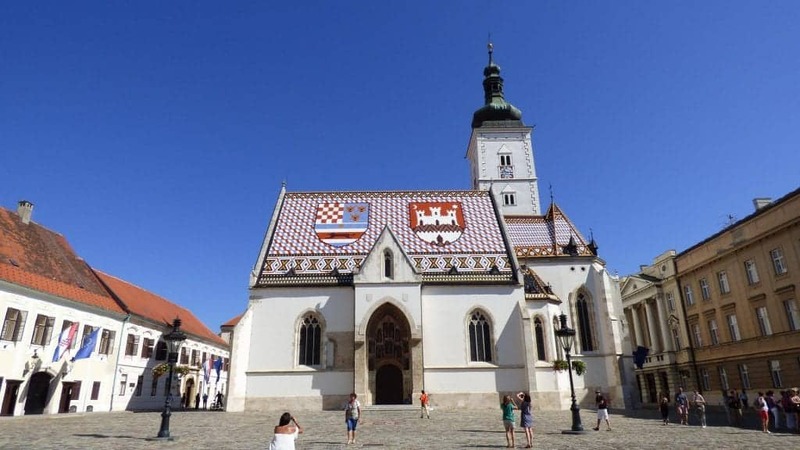 Take a day or two to wander the city, centered around the tiled-roof “Cathedral” and city square. Make sure to visit the Petrovaradin Fortress across the river for an amazing skyline view. For day trips, I found Subotica in northern Serbia to be one of the most beautiful cities in Serbia. Just ten kilometers from the border with Hungary, the town is full of art nouveau architecture and Hungarian cuisine. Tirana is the frenetic capital of Albania and it’s well worth a visit to this intriguing Balkan city. Albania endured one of the most repressive communist regimes in history, which blockaded it from the rest of the world for decades and made the Soviet Union look like an open paradise. Learn about its history on the excellent free walking tours, which take you around Albania’s interesting capital and reveal its history and secrets to you. Besides the walking tour, you should visit a few of the excellent museums, including Bunkart on the outskirts of town, which is situated in Enver Hoxha’s former bunker. You should also check out the House of Leaves and the National Museum of Albania, which are both fascinating. By night, check out the trendy neighborhood of Blloku, which was once the heart of the communist party but is now the domain of — who else — hipsters and young people who have made this the most happening neighborhood of Tirana. If you want to escape from the city, you can take a day trip to Apollonia, the well-preserved ruins near Fier, or to Kruje Castle, where the national hero Skanderbeg rebelled against the Ottoman Empire. Berat is also another common day trip. For a day trip within the city, take the cable car up to Mount Dajti where you can enjoy hiking, scenic views, and traditional food at one of the hotel-restaurants on the mountain. 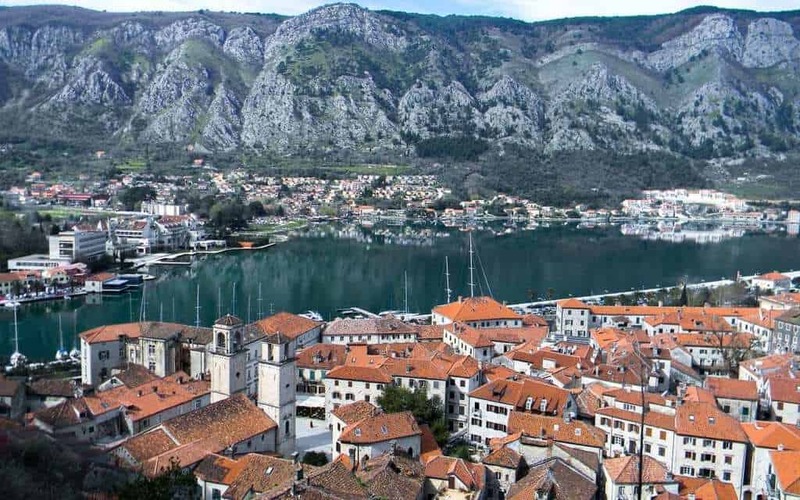 Montenegro’s Kotor is a UNESCO World Heritage Site tucked away on the Bay of Kotor. The old city walls hide a maze of cafes and churches. Climb the 1350 stairs to the top of San Giovanni Castle to take in views of the entire city and bay. Other highlights include taking a boat out to Our Lady of the Rocks and visiting some of the other towns on the bay, like Perast and Risan. For day trips, you can visit Dubrovnik in Croatia. If you want to stay in Montenegro, you can visit Budva or even Durmitor National Park, which is also a UNESCO World Heritage Site. Mostar is an ideal city break because it really is possible to see everything in the city in three or four days. Highlights include the Stari Most (the Old Bridge) possibly the most famous bridge in the Balkans. Avid photographers will enjoy trying out the different popular photography spots, and you can even seek out new ones. One of my favorite sites in the city is the Koski Mehmed Pasha Mosque, which also offers great bridge views. Bosnia is a small country with many places worth visiting, so you have many options for day trips. You can pop up to Sarajevo or over to Trebinje. Alternatively, you can see the UNESCO World Heritage Site Ottoman Mosque in Visegrad. Fly Into: Mostar International Airport. You can also fly to Sarajevo International Airport, Tuzla International Airport, or even Dubrovnik Čilipi Airport and take a bus or train. 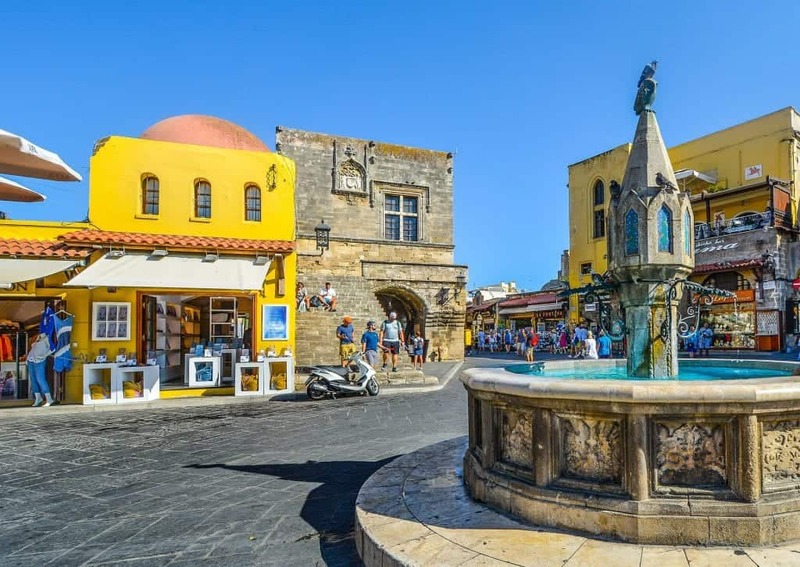 Visiting the town of Rhodes is a great way to explore a city while also getting to experience some Greek island life. Rhodes’ Old Town is a UNESCO World Heritage Site with beautiful architecture, including church ruins and the Palace of the Grand Master. Stay in the Turkish Quarter to connect with the history of the city. For a day trip, take the bus to Lindos to enjoy a day at the beach. Walking through the city, you’ll pass by quintessential white Greek island buildings, including lovely small churches. The water at the beach here is clear and warm enough to swim even in April. You can also visit the Lindos Acropolis for a dose of culture. 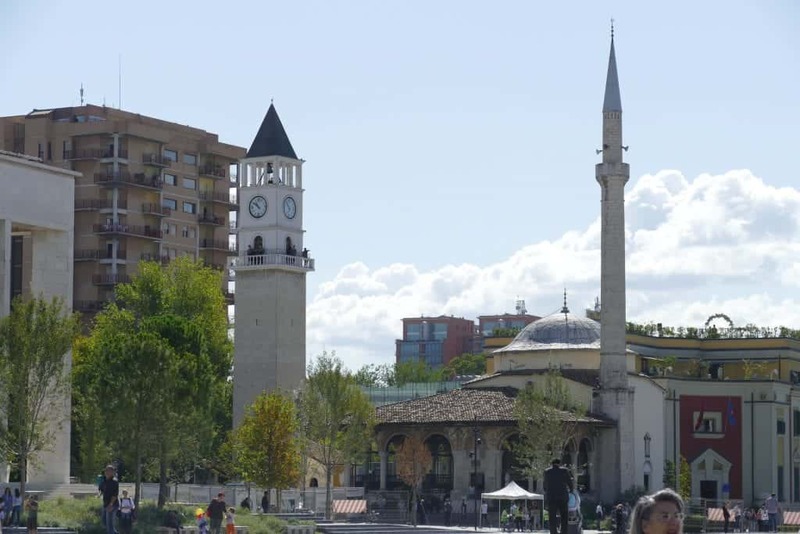 Kosovo is known as a great place for nature, but Pristina is a fun city to explore over a few days. Travel here is less about seeing the big landmarks and more about just enjoying the vibe of the city, although no visit to Pristina is complete without visits to the Newborn monument, the statue of a waving President Bill Clinton next to the Hillary store, and the National Library, considered to be one of the world’s ugliest buildings. For a day trip, head to the picturesque town of Prizren, where you can enjoy the Ottoman bridge and the views from the fortress. Slovenia only has a sliver of Adriatic sea coast, but the town of Piran certainly makes the most of it. This formerly Venetian city sits right on the edge of the sea, with beaches on both sides of the little peninsula. In between, there are city squares and cafes reminiscent of Italy, but with a distinctly Balkan sense of relaxation and nonchalance. 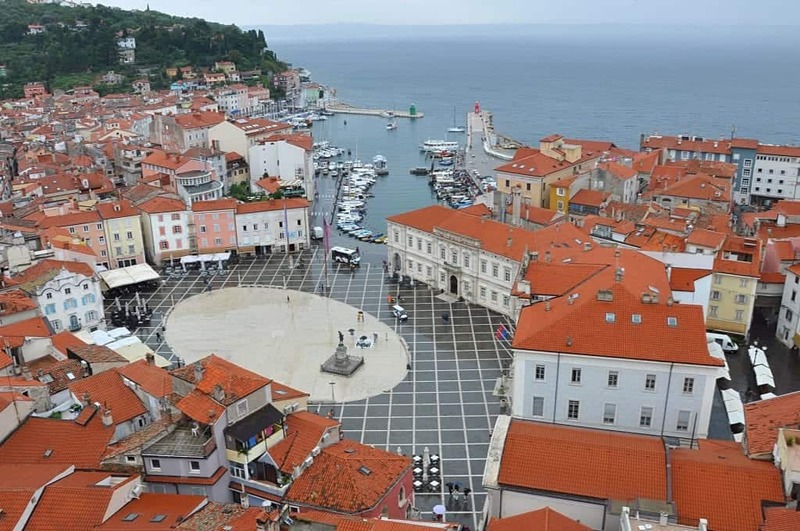 Start by enjoying Tartini Square in the middle of town and climbing the bell tower to get views of the entire city all the way to the water, followed by a nice stroll on the harbor. Other highlights include going on boat trips and walking to Strunjan Nature Park. Of course, as with any seaside town, enjoy a freshly-caught fish dinner overlooking the water. Day trip possibilities include wine tours and the UNESCO World Heritage Skocjan Caves, although no one would blame you for wanting to spend every minute soaking up the sun on one of the city’s rock beaches. Fly Into: Friuli Venezia Giulia Airport in Trieste, Italy, Pula Airport in Pula, Croatia, or Ljubljana Jože Pučnik Airport. You can take a bus to Piran from all three cities. Skopje, Macedonia is a city that people either love or hate – I actually fall somewhere in between. Personally, I spent 10 days there on a recent Bulgaria exile (visa issues), and I found that was too much time. 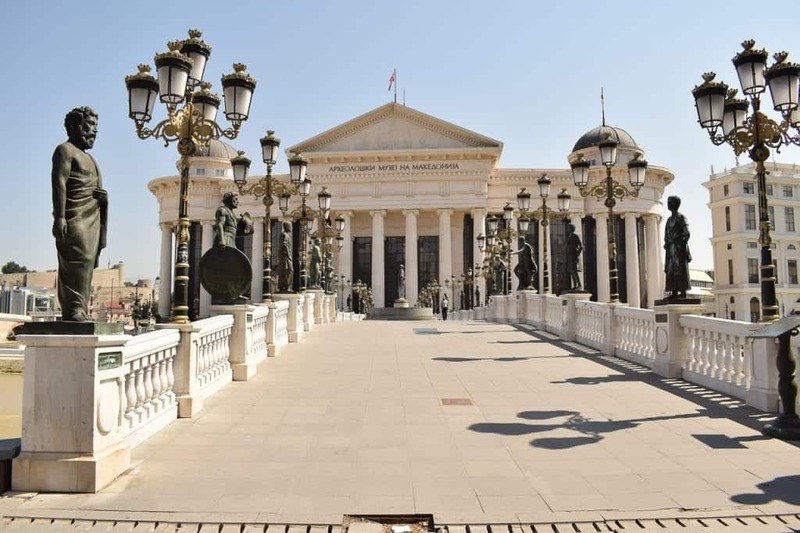 However, Skopje would be the perfect Balkan city break, as most of its best sights can be seen in a day or two and then the next day can be used to do some beautiful day trips to places like Matka Canyon or Mount Vodno. Plus, there are cheap flights to Skopje from many airports on Wizz Air, so it’s easy to get there! In Skopje, make sure to visit the town center with its controversial facelift that was part of the Skopje 2014 initiative. Here you’ll find hundreds, perhaps thousands, of brand-new statues and building facades made in an old-style but actually also new. The Archaeological Museum of Macedonia (pictured above) is beautiful and worth a visit. You also shouldn’t miss the Museum of the Macedonian Struggle, which is very interesting and done quite well. There are two ‘pirate ships’ docked in the middle of the river that bisects Skopje; having a cup of coffee on board one of these silly ships is, personally, a can’t-miss thing to do on a trip to Skopje. To get a break from the overdone center, check out the leafy neighborhood of Debar Maalo, which is full of excellent bars and restaurants such as Kino Karposh and MAD Kitchen & Bar. This is where young Skopjans hang out and it’s a welcome break from the craziness of the center. Transylvania’s Sibiu served as the European Capital of Culture in 2008, and it spent the five years before restoring the city’s architecture and conducting beautification projects. 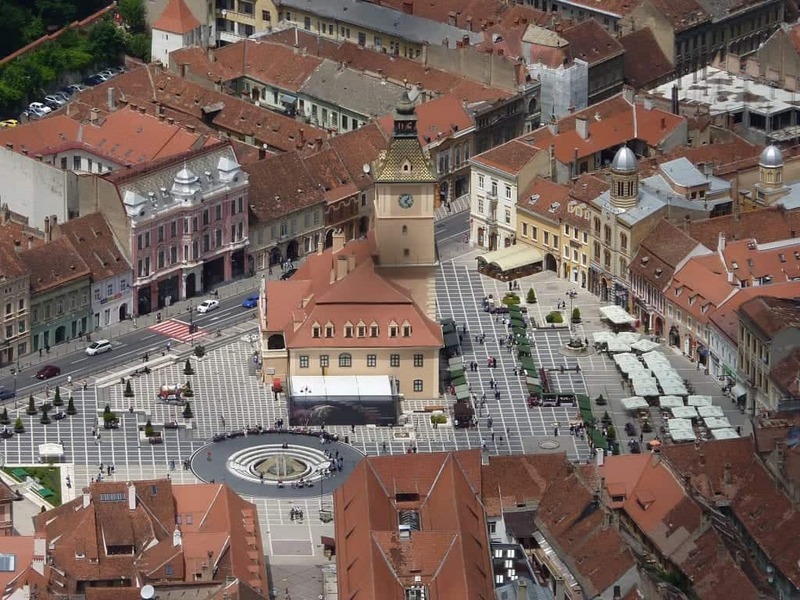 The resutls returned Sibiu to the charming city that stands today. It’s this same spirit of improvement that lead the city to become a 2019 European Region of Gastronomy. 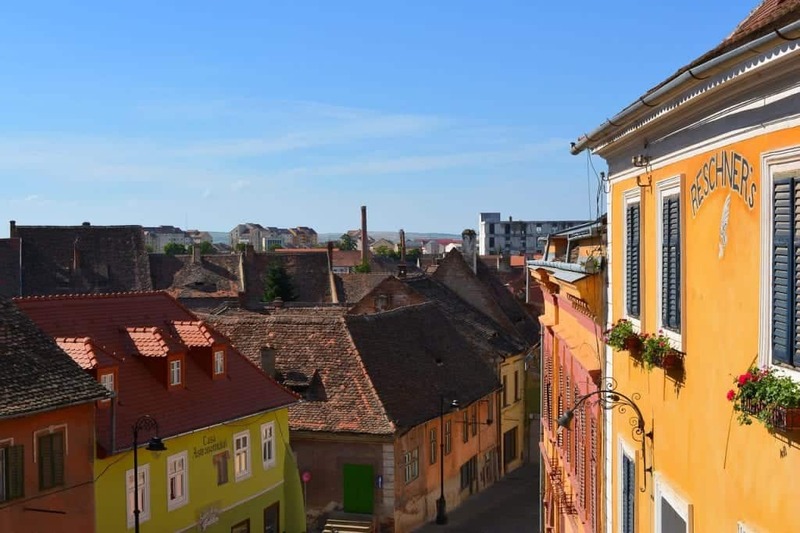 While traditional Romanian food is delicious, Sibiu has made a concerted effort to take Romanian cuisine to new heights, and foodie travelers everywhere will delight spending a few days here. Must-see sights include getting a coffee on the Piata Mare (main square), strolling the Strada Nicolae Balcescu, and climbing Council Tower. For a great day trip from Sibiu, check out one of the most beautiful Romanian castles, Corvin Castle, or the UNESCO World Heritage Saxon Fortified Churches. There are so many places to visit in Greece that it’s easy to forget about Thessaloniki, perhaps the most traditionally Balkan of the cities in Greece. However, with its nearby beaches and laid-back attitude, Thessaloniki is a great place to relax for a few days. 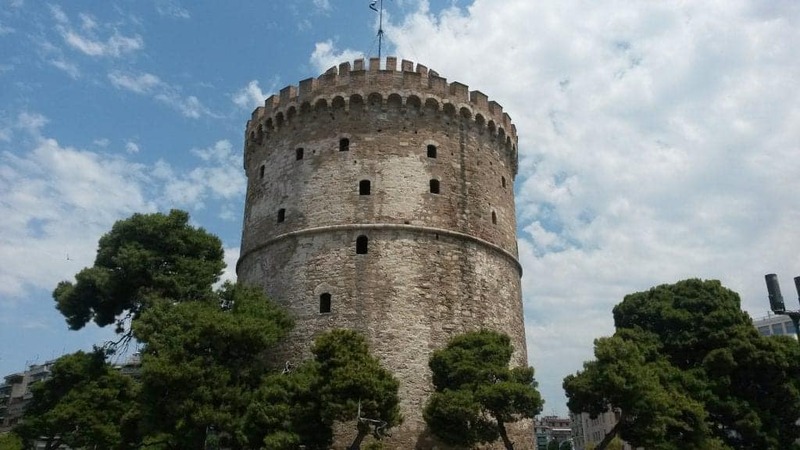 Highlights include a visit to the White Tower, the Arch of Galerius and Rotunda, and Aristotelous Square. Enjoy the city’s great seafood in the Ladadika district. 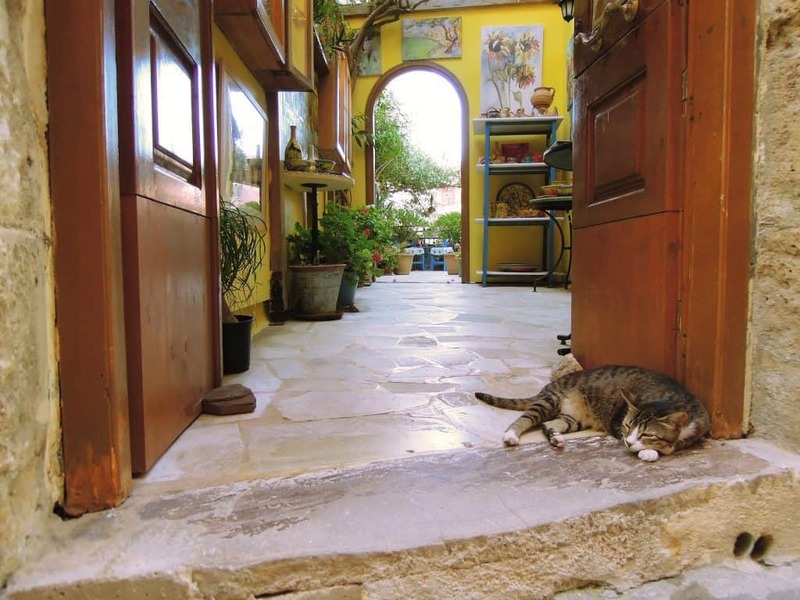 For day trip ideas, you can make trips to Mount Olympos or Mount Athos for a dose of culture. However, my favorite chill beach town in Greece, Agia Triada, is just a quick bus ride from Thessaloniki. Of all the Greek islands I’ve visited, Crete might be the place where its easiest to simply unwind. Whether you choose to stay in Chania proper or rent a villa on the outskirts of the city, you’ll appreciate having the town to stroll at night. And Chania is delicious! In my opinion, Greek food is one of the best Balkan cuisines, and its done to perfection in Chania. Enjoy the beach by day, and spend your afternoons drinking by the sea, exploring the Venetian harbor and its beautiful lighthouse, and visiting the Greek Orthodox Cathedral. For day trips, my personal favorite was a trip out to Seitan Limania beach, although there are several other gorgeous Cretan beaches to pick from after you’ve gotten your fill of the beaches in Chania. Berat is one of the best places to see traditional Ottoman architecture in the Balkans, with Turkish houses and mosques lined up along the river and climbing up into the hills. Don’t skip a trip up to Berat Castle, which offers amazing river and town views. Enjoy the Albanian and Turkish cuisine, and take your time getting lost in the city streets. 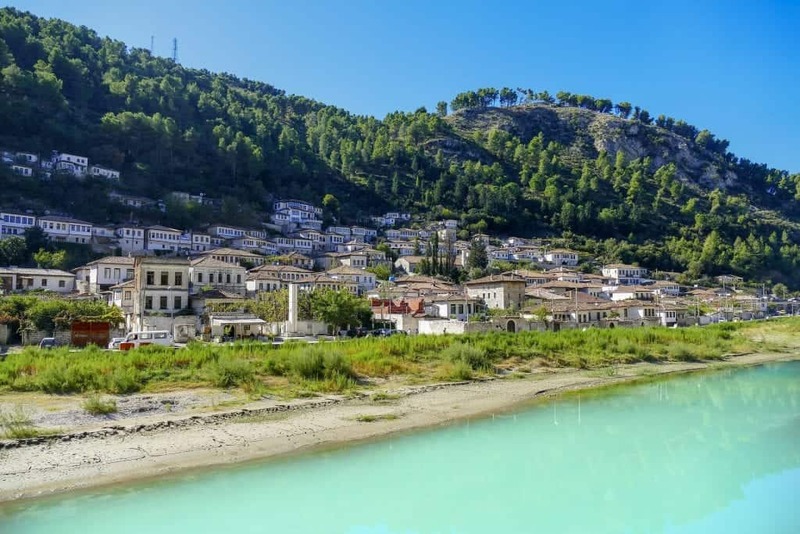 For a day trip, visit Berat’s sister city Gjirokaster, together the two cities form a single UNESCO World Heritage Site. Fly into: Tirana International Airport Nënë Tereza and take a bus or furgon to Berat (2.5 hrs). 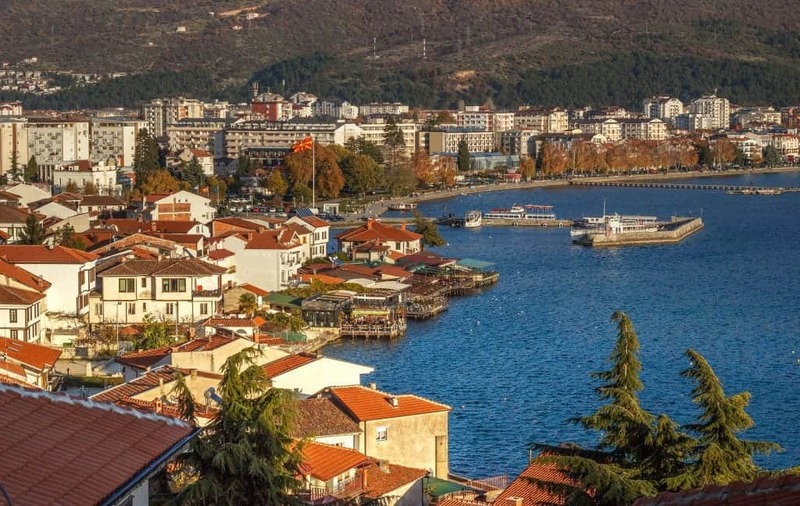 Sitting on Lake Ohrid, the town of Ohrid is one of the most historically influential cities in a region known for its important history. Nicknamed the “Jerusalem of the Balkans,” the area is known for its plethora of great monasteries and churches as well as being one of the most prominent centers of early Slavic culture. Make sure to walk up to see the Church of St. John at Kaneo, the fifteenth-century Orthodox church perched dramatically over the lake. And no trip to Ohrid is complete without a dip in the lake and a dinner on the town promenade on the water. The best views of the town’s Turkish houses come from the water, so take up one of the many boats on their offer to take you out onto the lake. For about ten euros or less, you can take a boat ride on the water at sunset. For a day trip, schedule one of the longer boat tours which will take you to some of the lake’s farther-flung gems. 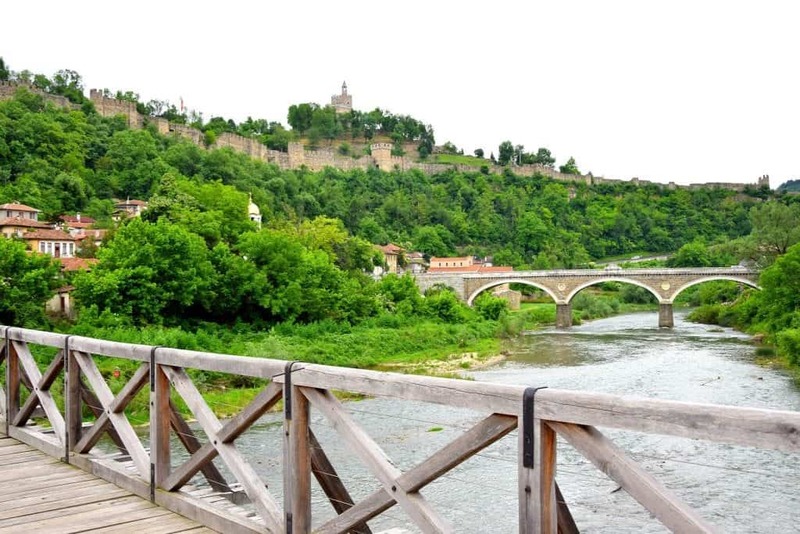 The medieval Bulgarian capital of Veliko Tarnovo is a great place to rest, dine, and explore for a long weekend. Spend an afternoon wandering around the Tsaravets Fortress, one of the most beautiful castles and fortresses in Bulgaria. My personal favorite activity in Veliko Tarnovo involves drinking the local Boyarska beer anywhere with a view of the Yantra River. For day trips, you can explore nearby Arbanasi or even spend your final day in Bucharest. You could also rent a car and spend a day exploring some of the nearby monasteries. Fly Into: Sofia Airport and take a bus ( 3 hrs) or train (5 hrs). Brasov is one of the true Transylvania gems and one of Romania’s most popular cities for tourists. You can spend a day or two wandering the historic city streets and Council Square, which has some of the most picturesque medieval architecture in Europe. Other highlights include Strada Sforii, which is just fifty-three inches wide and one of the narrowest streets in Europe. Because Brasov is surrounded by some of the best castles in Romania, there are many options for great day trips. The most popular is a trip to Bran Castle and Raznov Fortress, both stunningly picturesque. If you’re traveling to Romania in winter, you can opt to head to the ski resort town of Poiana Brasov and hit the slopes for the day. Fly Into: Henri Coandă International Airport (Otopeni) or Sibiu International Airport and take a bus or arrange for an airport transfer (2-3 hrs). Sarajevo is often overlooked by most visitors to Bosnia, who prefer to tick off the country with a day trip to Mostar from Dubrovnik. 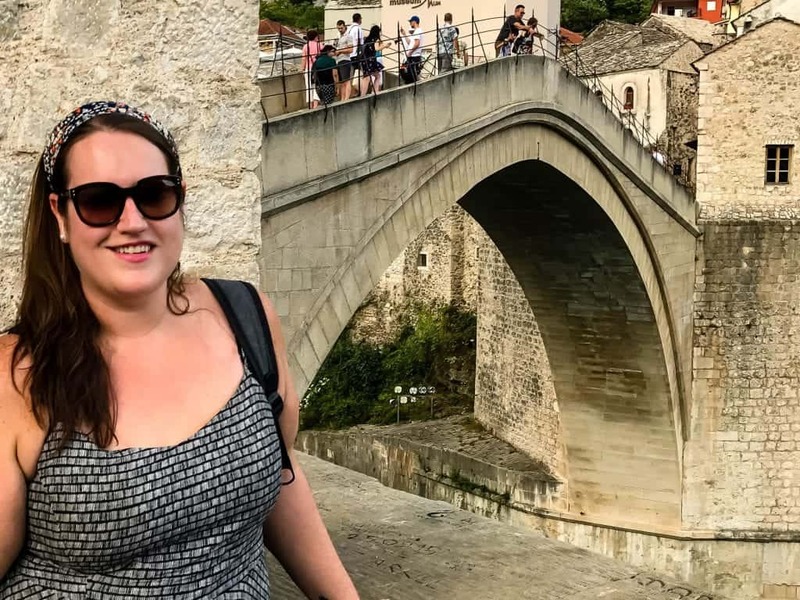 While Mostar is certainly Instagram gold, there is so much more to Bosnia than just Mostar! 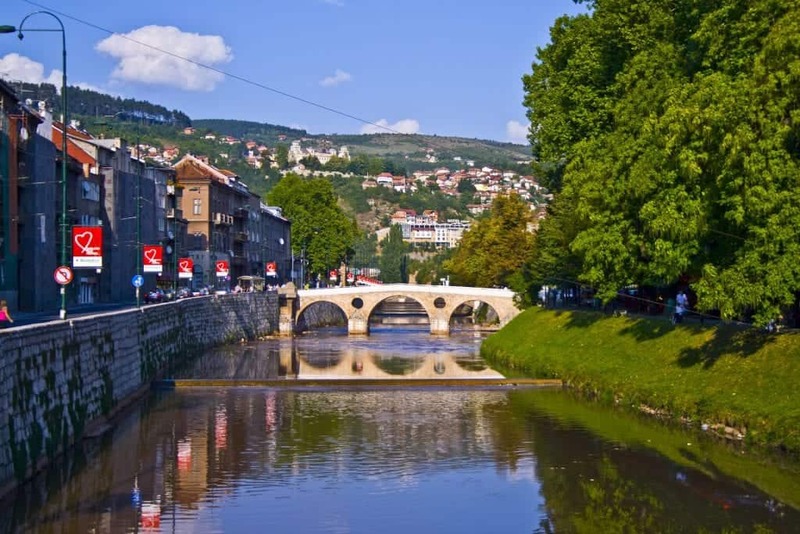 Sarajevo is the capital of this beautiful Balkan city. It is the perfect place to spend anywhere from two to four days, though of course, there is so much you can see there that more time would be welcome! From its role in World War I history (Sarajevo was the place where Archduke Franz Ferdinand was assassinated, sparking WWI) to surviving the longest siege of a capital in modern warfare in the 90s, Sarajevo has undergone a lot in the last century. Despite its heavy history, it is a beautiful city full of wonderful things to see and do. Be sure to start with a free walking tour to get your bearings and understand the history, then check out the Srebrenica Gallery to learn more. Follow this up with one of several beautiful hikes – the hikes to the Yellow and White Forts both offer beautiful sunset views, or hike up Mount Trebevic if you want a challenge! 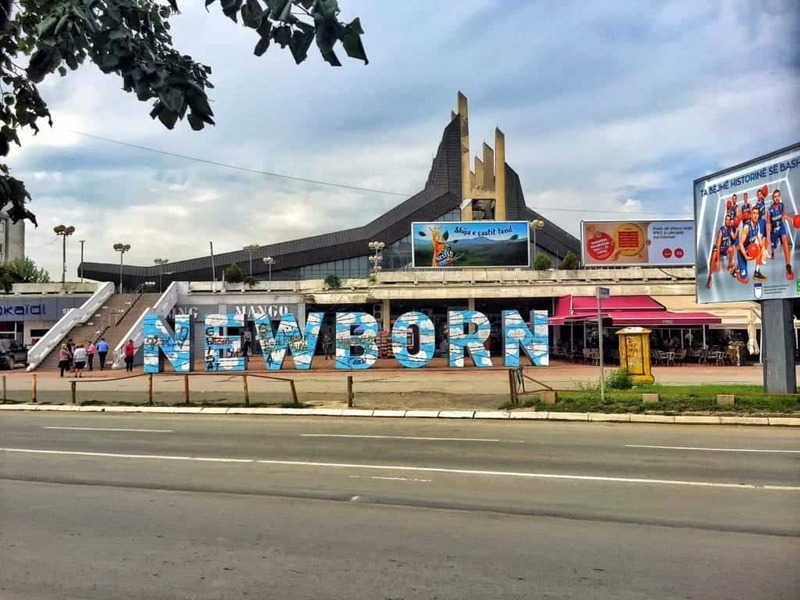 You can also go by car to Mount Trebevic, where you can see the famous abandoned bobsled track from the Winter Olympics of 1984 that is now home to street art galore. The Old Town neighborhood of Baščaršija is a beautiful place to walk, photograph, and shop for local souvenirs. Don’t forget to stop for a cup of Bosnian coffee, prepared in a manner similar to Turkish coffee, when you need a pick-me-up! Finally, make sure you always travel with a valid travel insurance policy. Any time you’ll be doing adventure sports, outdoor activities, or exploring highly touristed cities, you want to be covered in case something occurs. Theft or an accident can ruin your trip and your finances unless you are covered. What other Balkan cities should we add to our list of the best Balkan city breaks? I think that you should add Kruja, a city in center of Albania , 25 km near Tirana MOTHER THERESA Airport. It’s as historic as all the hole historical cities of Balkan cause there was the house of biggest hero Gjergj Kastriot Skanderbeg. Good addition! I didn’t make it to Kruja when I visited Albania but hope to return. This is such a fantastic list! I spent a couple months in the Balkans about a decade ago and have been getting itches to head back there again. Hopefully I’ll be able to visit all these places too! Oh wow, I bet it must have been so incredibly different a decade ago – you’re definitely overdue for a visit back! In the 3 or so years I’ve been traveling here so much has already changed. I hope you get back soon! Great list!! I’ll be making my first trip to Slovenia this spring. Can’t wait to begin exploring this area. Ok…well I have been to Santorini, Greece and to Turkey. Istanbul is amazing as is all of Turkey! I actually have yet to visit Slovenia (Stephanie has though) – it looks sooo incredible, I’m hoping to visit this year as well! Thank you! Our favorites is (obviously) Sofia, but for me, Belgrade runs a close second followed by Istanbul or Athens! Wow, what a cool place to trace your ancestry back to! It’s a gorgeous city! This just made me want to go back to the Balkans! So much to see there:) I’ve especially wanted to visit Romania for the longest time! Romania has so much to see, too, that you can easily go back for weeks! Let us know if you go back! Hoping to go this year- a road trip to Greece in a micro camper Berlingo! Wow, that sounds so cool! Road tripping around Greece would be amazing! Very useful Post. I am actually eyeing a trip to Balkans during next spring provided I score the visa and would love to check out at least some of them 🙂 Beautiful pictures too! Thank you! The Balkans are incredibly picturesque! Good luck with the visas-that part can definitely be a pain since they (mostly) each need their own.